The People Behind Direct Energy and How They Power the Lives of Local Kids. Each day across North America, Direct Energy® and its family of brands, power and service customers’ homes and businesses. They also power the lives of local kids through their partnership of Children’s Miracle Network Hospitals. 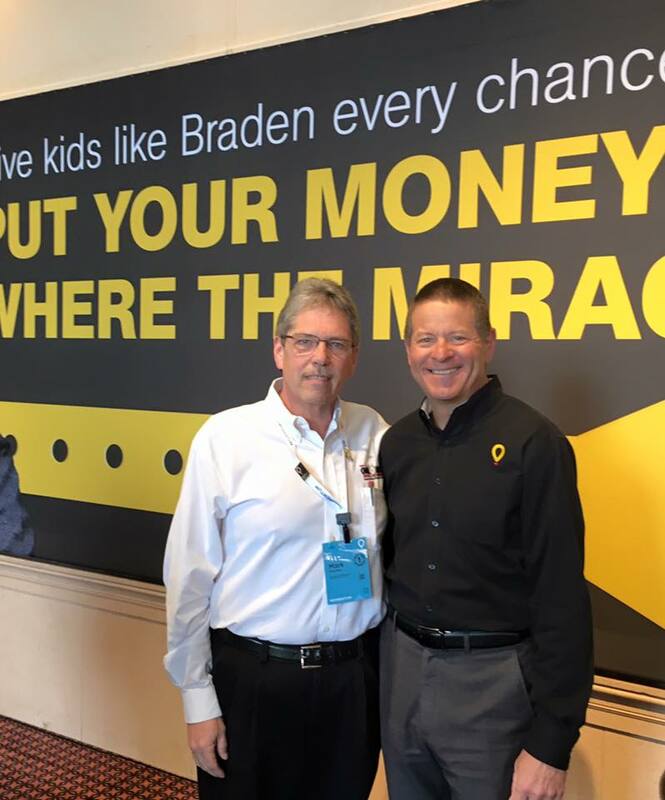 Meet Mark Geschke, just one of the 300 Direct Energy Home Services franchisees that raise funds for their local CMN Hospital. Geschke knows all too well the importance of children’s hospitals in the community. In December, 1997, Geschke’s granddaughter Megan Diane was born premature, weighing only 1 lb, 10 oz. Geschke and his family spent five long months in the NICU at Rainbow Babies and Children’s Hospital, visiting Megan and gaining a sense of community among the nursing staff and other families in the NICU. Fast forward 20 years, and not only is Geschke actively involved in Direct Energy programs to raise funds for Children’s Miracle Network Hospitals – Geschke’s One Hour Heating & Air Conditioning locations have raised over $7,000 since the partnership began – he has been volunteering in the NICU of Akron Children’s Hospital since 2013. “What strikes me as real progress in today’s NICU is the separate private rooms and the advances in medical equipment and monitoring systems. The incubators of 20 years ago, compared to the self-contained and climate controlled equipment used today is just awesome!” says Geschke. Helping hospitals with advances in technology and equipment are just one of the ways donations from Direct Energy help power the lives of patients at CMN Hospitals. To date, Direct Energy has donated over $1.7 million through each of their brands campaigns and programs. Donations are used to fund patient services, new equipment, and charitable care. Direct Energy is one of North America’s largest energy and energy-related services provider with nearly five million residential and commercial customers. Direct Energy provides customers with choice and support in managing their energy costs through a portfolio of innovative products and services. A subsidiary of Centrica plc (LSE: CNA), one of the world’s leading integrated energy companies, Direct Energy operates in 50 U.S. states plus the District of Columbia and 10 provinces in Canada. To learn more about Direct Energy, please visit www.directenergy.com. Previous post: KDD Radiothon raises $551,886 for Akron Children’s Hospital!